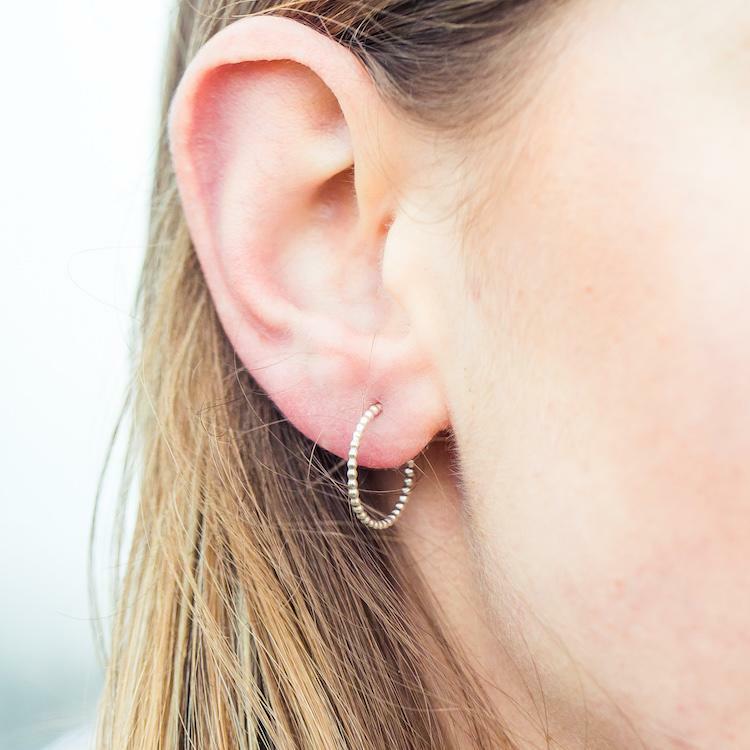 Small bubble hoop earrings which go perfectly with the bubble interlinking necklace. 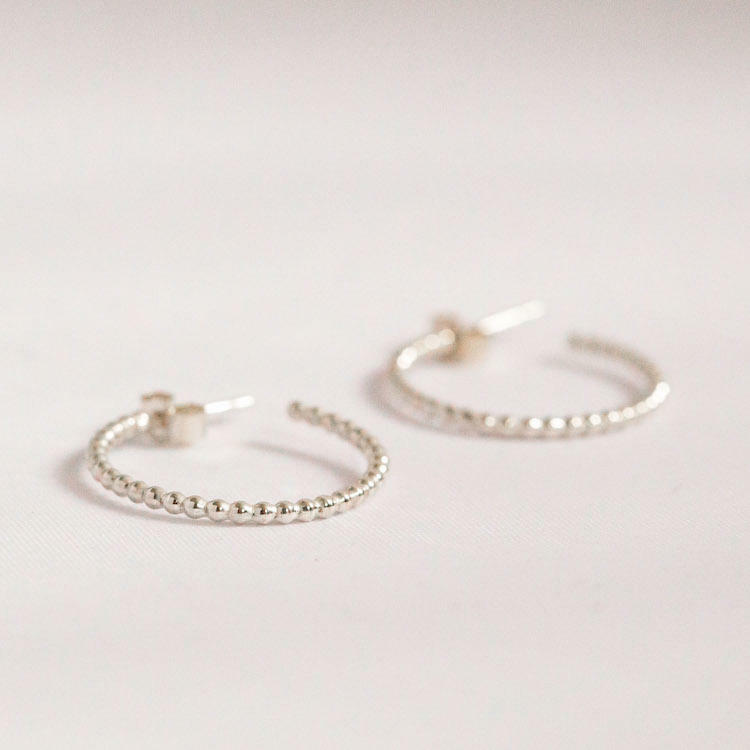 Dainty half hoops made in England from bubble wire. Due to hygiene reasons, these earrings cannot be returned but if you have any issues contact us.